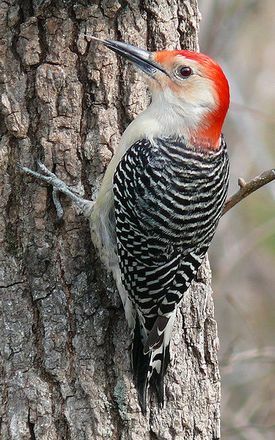 The Red-bellied Woodpecker, Melanerpes carolinus, is a medium-sized woodpecker of the Picidae family. These birds mainly search out arthropods on tree trunks. They are omnivores, eating insects, fruits, nuts and seeds. They may also catch insects in flight. Their breeding habitat is usually deciduous forests. Predators of adult red-bellied woodpeckers include birds of prey such as sharp-shinned hawks and Cooper’s hawks, black rat snakes and house cats. Bees, Bird, Bob Hope, Bob Hope quotation, quotation, Red-bellied Woodpecker, Woodpecker. Bookmark. Hilarious quote from the late great Bob Hope. What a comic genius, it is good to see his legacy living on. Thanks for posting this amazing and funny quote.